The first release of Plasma 5 is out now. We have worked long and hard over the last three years to tidy up the internals and move to new technologies to bring a solid foundation for KDE's Plasma desktop for years to come. The UI has been tidied up, there is a new Breeze artwork theme starting to take off and high-DPI support has been added. The main design of the desktop and workflows in it have not been altered, we know you like your desktop and have no desire to change it. There is not enough polish in this release to make it mainstream yet, this is only for enthusiasts and people who want to help debug for now. Many distributions have packages to install or test images to try out although this 5.0 release should not be the default option yet. Plasma 5 is built using Qt 5 and Frameworks 5 and is due to have new releases on a three monthly cycle. You can discuss your experiences on the Plasma 5 forum on the KDE Community Forums. Please post to social media with the #PlasmaByKDE hashtag. The new Breeze theme is a high-contrast, flat theme for the workspace. It is available in light and dark variants. Simpler and more monochromatic graphics assets and typography-centered layouts offer a clean and visually clear user experience. Plasma's user interfaces are rendered on top of an OpenGL or OpenGL ES scenegraph, offloading many of the computational-intensive rendering tasks. This allows for higher framerates and smoother graphics display while freeing up resources of the main system processor. The "converged Plasma shell" that loads up the desktop in Plasma 5.0 can be extended with other user experiences. This lays the base for a converged user experience bringing up a suitable UI for a given target device. User experiences can be switched dynamically at runtime, allowing, based on hardware events such as plugging in a keyboard and a mouse. The application launchers' user interfaces have been reworked. Among the changes are a visually redesigned Kickoff application launcher, a newly included, more menu-like launcher, called Kicker and a new, QtQuick-based interface for KRunner. Support for high-density displays has been improved. Many parts of the UI now take the physical size of the display into account. This leads to better usability and display on screens with very small pixels, such as Retina displays. The Plasma 5.0 Visual Feature Guide provides a video tour around the updated desktop. The new Breeze theme, which is still in its infancy, welcomes the user with a cleaner, modernized user interface, which improves contrast and reduces visual clutter throughout the workspace. Stronger reliance on typography eases the recognition of UI elements. These changes go together with flatter default theming and improved contrast to improve visual clarity further. Breeze being a new artwork concept, is only starting to show its face. A theme for the workspace components is already available, theming of traditional widgets is under way, and the work on a new icon theme has commenced. The migration to a fully Breeze-themed workspace will be a gradual one, with its first signs showing up in Plasma 5.0. Plasma 5 brings a greater level of flexibility and consistency to core components of the desktop. The widget explorer, window and activity switcher now share a common interaction scheme. More reliance on vertical instead of horizontal lists provides better usability. Moving the window switcher to the side of the screen shifts the user's focus towards the applications and documents, clearing the stage for the task at hand. The new-in-Plasma-5 "Look and Feel" mechanism allows swapping out parts like the task and activity switchers, lock and login screen and the "Add Widgets" dialog. This allows for greater consistency across central workflows, improves clarity within similar interaction patterns and changing related interaction patterns across the workspace at once. On top of that, the Plasma 5 shell is able to load and switch between user experiences for a given target device, introducing a truly convergent workspace shell. The workspace demonstrated in this release is Plasma Desktop. It represents an evolution of known desktop and laptop paradigms. A tablet-centric and mediacenter user experience are under development as alternatives. While Plasma 5.0 will feel familiar, users will notice a more modern and consistent, cleaner workspace experience. Plasma 5 completes the migration of the Plasma workspace to QtQuick. Qt 5's QtQuick 2 uses a hardware-accelerated OpenGL(ES) scenegraph to compose and render graphics on the screen. This allows offloading computationally expensive graphics rendering tasks onto the GPU which frees up resources on the system's main processing unit, is faster and more power-efficient. Internal changes in the graphics compositor and underlying Frameworks prepare support for running on Wayland, which is planned for an upcoming release. Plasma 5.0 provides a core desktop with a feature set that will suffice for many users. The development team has concentrated on tools that make up the central work flows. As such, not all features from the Plasma 4.x series are available yet, many of them planned to return with a subsequent release. As with any software release of this size, there will be bugs that make a migration to Plasma 5 hard, if not impossible for some users. The development team would like to hear about such issues, so they can be addressed and fixed. We have compiled a list of known issues. Users can expect monthly bugfix updates, and a release bringing new features and more old ones back in the autumn 2014. With a substantial new toolkit stack below come exciting new crashes and problems that need time to be shaken out. This is to be expected in a first stable release. Especially graphics performance is heavily dependent on specific hardware and software configurations and usage patterns. While it has great potential, it takes time to wrangle this out of it. The underlying stack may not be entirely ready for this either. In many scenarios, Plasma 5.0 will display the buttery smooth performance it is capable of - while at other times, it may be hampered by various shortcomings. These can and will be addressed, however, much is dependent on components like Qt, Mesa and hardware drivers lower in the stack. I must say it looks really polished and streamlined! I would love to see dark variation though. 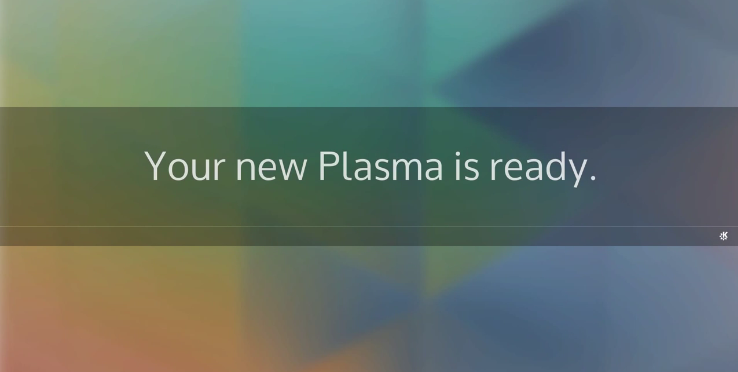 Really looking forward to using Plasma 5. Running Neon5 right now and all in all, it looks great and is running smoothly. Great job! I am extremely happy with the new icons. Looking forward to use it. "With a substantial new toolkit stack below come exciting new crashes and problems that need time to be shaken out. This is to be expected in a first stable release"
Mmm... no. This is expected in a beta. Nobody should _expect_ crashes and problem in a stable release, no matter if first or tenth. OFC they can always happen, but "expected"? No way. No. The first release of KDE 4 was labeled "risky". People were advised not to use it for production. Some people (such as me) used it anyway, and passed along our experiences. With the Community working together, Plasma Workspaces have become the most effective UserInterfaces. Nobody was fooled about anything. If you chose to use the first versions of Plasma, please take responsibility for having done so. I (a non-technical user) have been using Plasma 5. It works fine. Over 90% of PC users run Windows, and if the commonly accepted definition of "stable" is based on the number of installations, then Plasma 5 (compared to any version of Windows) is rock solid. Many people want the latest and greatest as soon as it's available. Many people want performance tuned over years. Wanting both at the same time is delusional. The screen-shots look absolutely wonderful. Tried it out through the project neon I believe, and it crashes frequently, crashes applications like bluefish and doesn't have all the settings in the system settings application. I appreciate the work done, and I look forward to a date when this is usable in a production environment. I've been using Plasma 5 for several weeks. It works fine, although I'm still working things out with an 7 year old Pentium. The system itself works great; the display is on its last legs. On a more modern PC (still several years old), Plasma 5 is smooth and responsive. I'm looking forward to whatever improvements the KDE Dev magicians pull out of thin air. But right now, it's working for me every bit as good as the latest version of Plasma Workspaces. it's very nice, but... I missing very much settings from systemsettings. I have two monitors and cannot set primary output and location. I like the more schematic icons that are displacing the old ones from some releases ago. Icons never needed to be shiny, hypercolorful and detailed, but some color is useful: some plain colors improve usability since make the process of visual recognition of icons faster. Please, keep the simple and nice design for icons, but add some color. Don't you really need to look for a couple of seconds at your system tray to distinguish your icons, especially the wireless and volume? different color would make the recognition process almost instantaneous. I don't like it very much at all, it's even duller than before. My graphics card can handle 16 million colors, you chose to use only two of them. I'm using the Breeze icon set with Plasma 5. And am vaguely aware of the work being done by the KDE Visual Design Group. They have given considerable thought to what makes icons effective; I have not been directly involved in their work. Icons work best as indicators when they stay out of the way and don't attract attention unnecessarily. What I've noticed is that the icons (taking the SysTray as an example) are useful in this way. They only appear when there's some reason. They look black&white, but even the monochrome icons also have gray. The different shading gives ample information with just a glance--wireless strength, volume. The battery icon shows a blue lightning symbol when charging; the circle indicates the battery level. Right now, I can tell at a glance that my battery is around 50% and it's charging. The battery level indicator changes color to red when the battery reaches critical level. I like that better than getting a rude bell. So I like the icons. Not for how they look artistically, but for how they serve the way I use my PC. I know Plasma 5 is under dev, but how long should we wait untill we see all the widgets that exist today in plasma 4 ported to plasma 5? how about the apps, when will they be ready to run against QT 5.2? I do not use plasma 5 yet, so sorry if the questions seems silly. But I will use it for sure, because I just loved it!!! Congratulations to all developers and artists! It's always great to hear great news about KDE. I'd love to upgrade from KDE 4 once the stability factor levels out. In the meanwhile, I love the wallpapers, especially the triangular one. Please tell me where I can download them from. Thanks!